Nottingham City Council has today signed up to Oxford City Council’s Charter for Cleaner Air, which calls on the UK Government to put the health of communities first and make improving air quality a priority. Launched in August by Oxford City Council, the Cleaner Air Charter is believed to be the first formal cooperation between Greenpeace UK and Friends of the Earth to be led by local authorities. It sets out ten key steps for the Government to take to tackle the issue of air pollution, including providing greater investment in public transport, tightening legal limits and improving national monitoring. It also calls on the Government to demonstrate national leadership by removing the most polluting vehicles from town and cities and launching a public health campaign to highlight the dangers of air pollution. Nottingham City Council has already taken significant steps to reduce air pollution including leading the world in reducing CO2 emissions with its Declaration on Climate Change and citywide roll out of solar panels and energy efficiency measures across its housing stock. The council has also worked to reduce transport emissions, introduced the country’s first Workplace Parking Levy to fund public transport measures, including its electric tram network, and invested in electric, biogas and low NOx buses, as well as investment in improved cycling infrastructure. 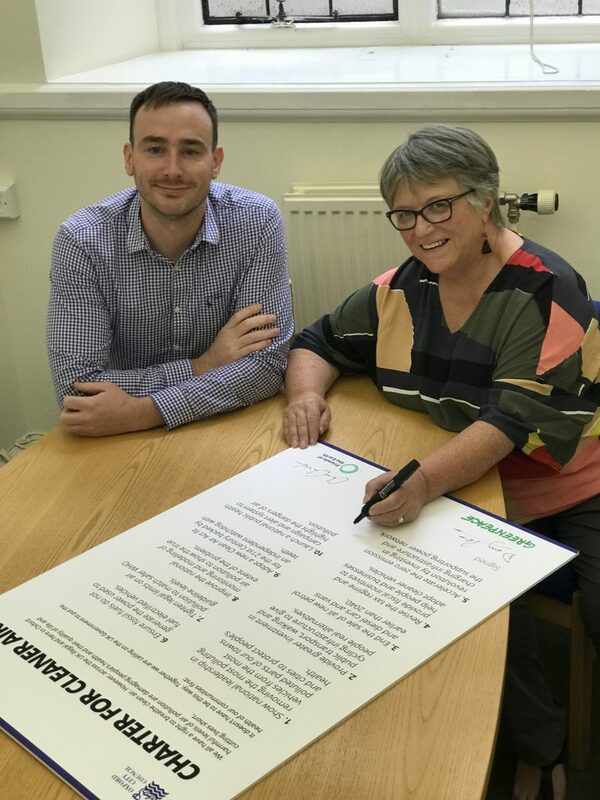 The charter was approved and signed by the council’s Portfolio Holder for Energy and Environment Councillor Sally Longford on 3 December 2018. Cllr Longford, said: “Air pollution is now recognised as the UK’s largest environmental risk to public health, contributing to heart and respiratory diseases, and lung cancer. We are determined to improve air quality in the city and have already taken steps to tackle air pollution, including investing in low emission public transport, developing electric vehicle infrastructure and improving pedestrian and cycle links. “Signing Oxford City Council’s Charter for Cleaner Air demonstrates our ongoing commitment to improving air quality for our residents. By working together, we can help to deliver positive change for all our communities. 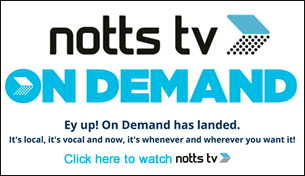 Councillor Tom Hayes, Board Member for S afer, Greener, Environment, at Oxford City Council, said: “It’s truly fantastic news that Nottingham City Council has signed up to Oxford’s Cleaner Air Charter. We’re aiming to be the world’s first Zero Emissions Zone but local authorities can only do so much within the legislative and funding framework set by Government. Standing together, Oxford and Nottingham are telling the Environment Secretary very loudly and clearly that we need more money and stronger powers to achieve the cleanest air for everyone in our communities. Signatories to the Charter include Southampton and Brighton and Hove City Councils.